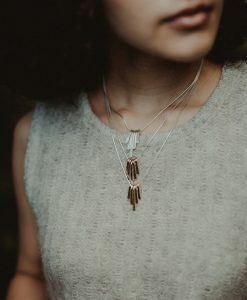 Handmade to order in Portland, Oregon. 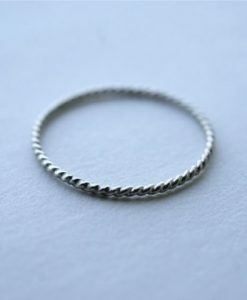 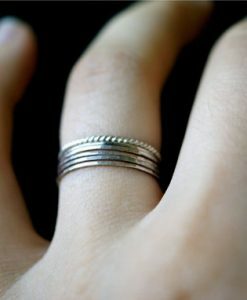 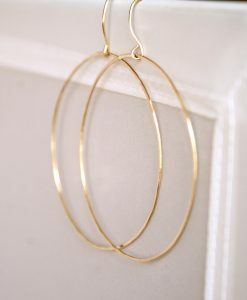 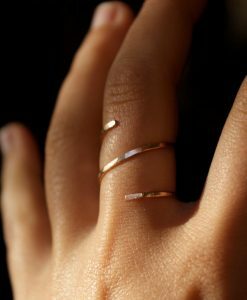 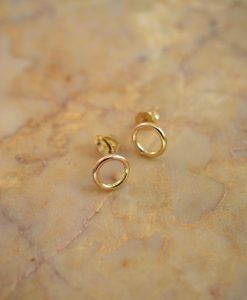 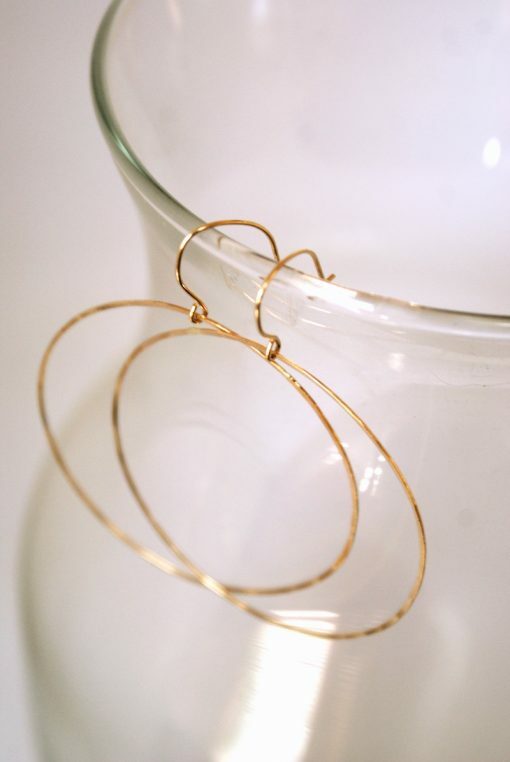 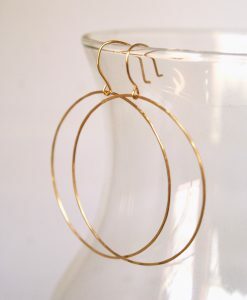 Each earring is formed into a 2 inch diameter circle and soldered for durability. 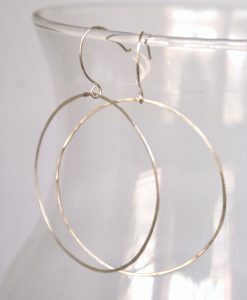 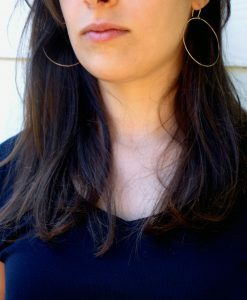 I then hammer out each circular hoop which creates a unique, reflective texture. 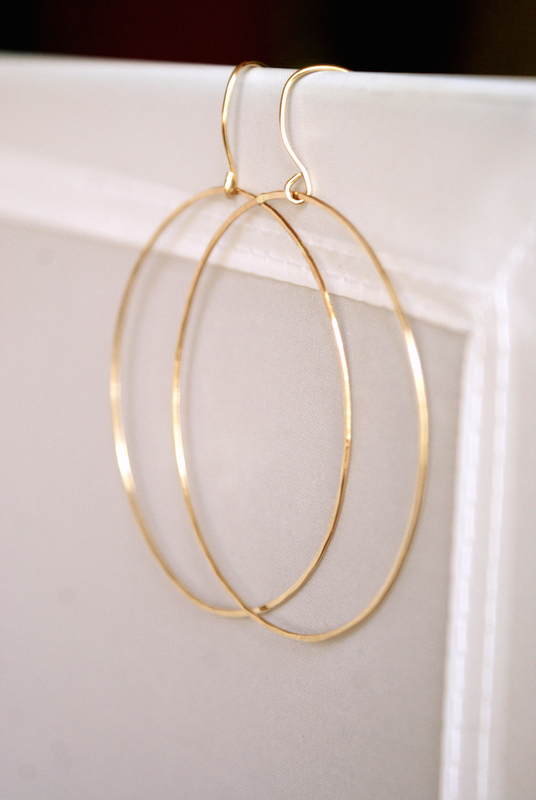 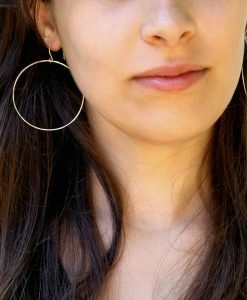 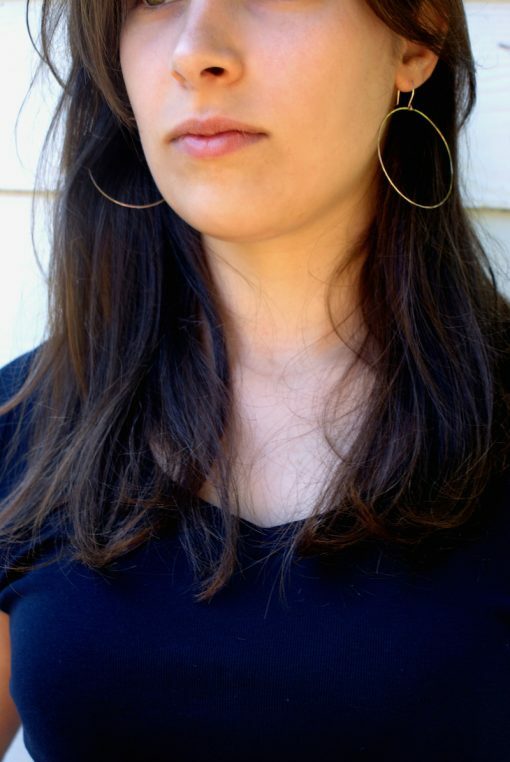 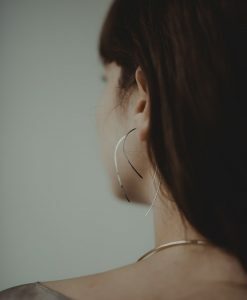 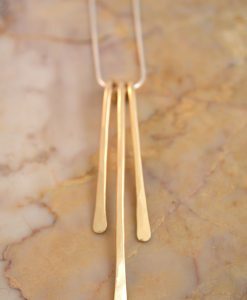 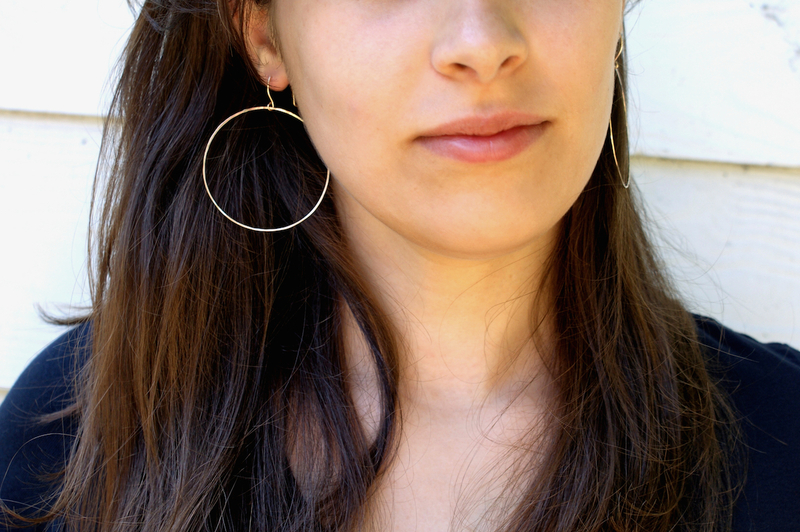 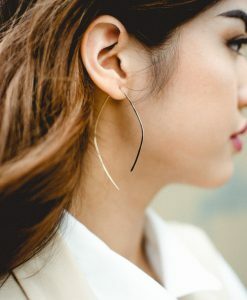 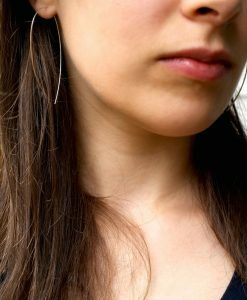 These earrings catch light well and are incredibly lightweight. 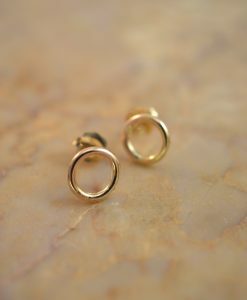 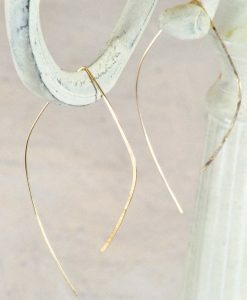 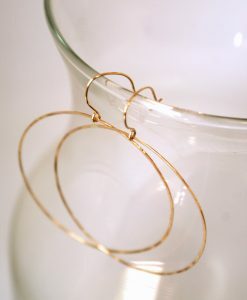 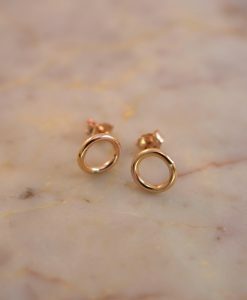 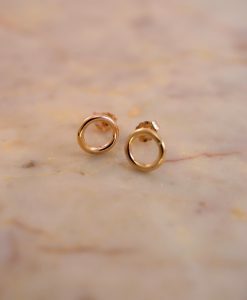 These earrings are hand-crafted out of 14kt Gold-fill. 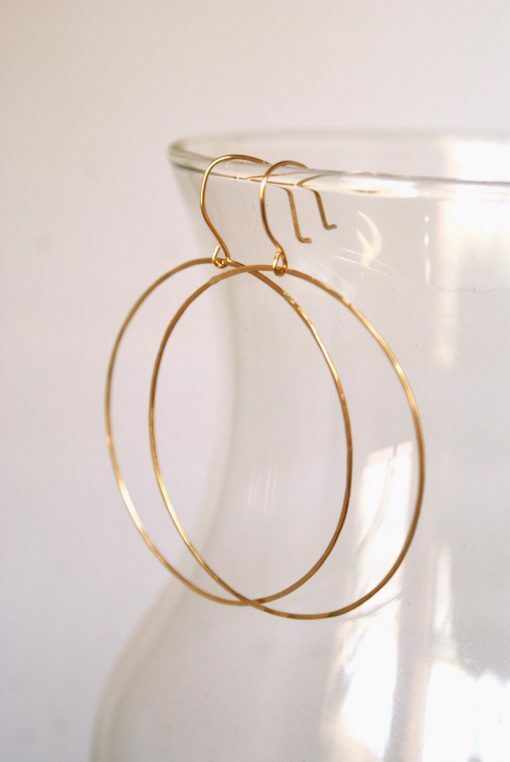 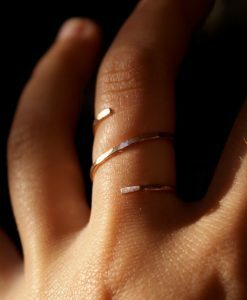 Each circular hoop measures approximately 2 inches in diameter. 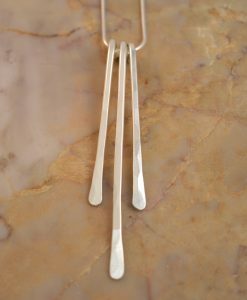 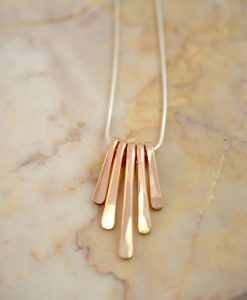 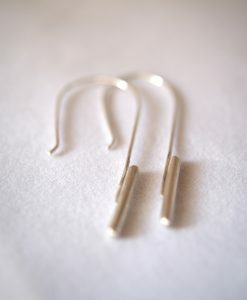 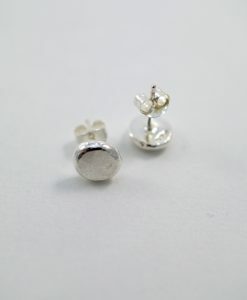 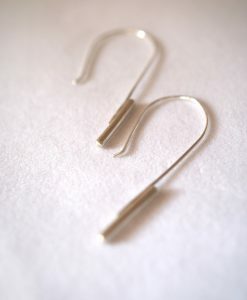 These earrings are also available in Sterling Silver. 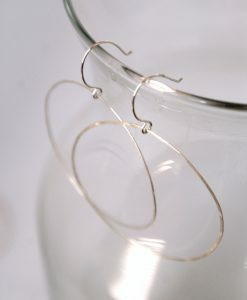 Please see my shop for details.